Mario is always on the hunt for his Princess, but she always seems to be in another castle. 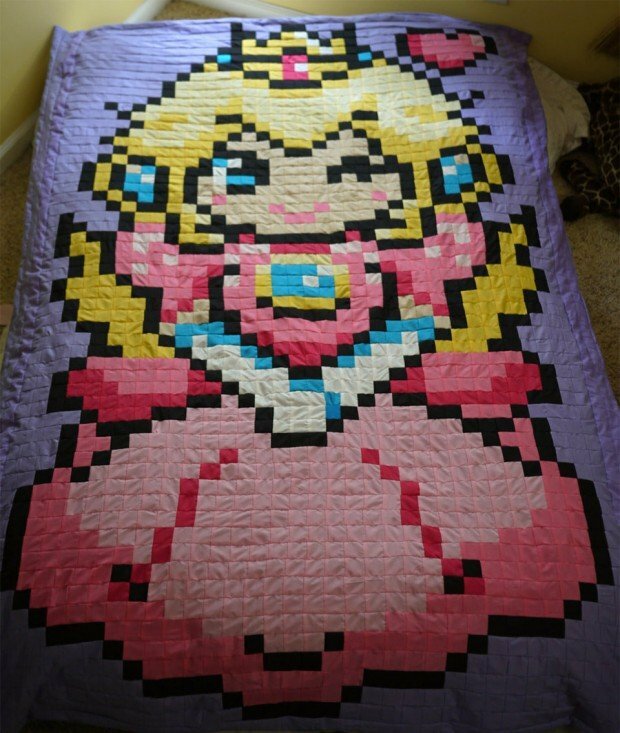 But it turns out she might actually be taking up residence in your castle thanks to this lovely Princess Peach quilt. This pixel art quilt was created by Megan “8bit” Healey, and is made from cotton and has a warm fleece backing. It measures 60″ x 78″, so it’s a good size for a twin bed or lounging around on the couch while you wait for Super Mario 3D World to be released. So punch open some question mark blocks, save up your gold coins and once you have $200 worth, head on over to Etsy and buy this quilt. If Peach isn’t your thing, you can also find Mega Man, Bowser, Tanooki Mario and other fun quilts in her shop.